When it comes to marketing in the digital-first world we live in, there’s a lot to consider. In today’s world, the buyer’s journey is no longer linear. Potential customers can interact with businesses across and through an increasing variety of channels. Social media, email marketing, Google search, Pay-per-click, referrals, PR, content marketing and in-store – are just some of the channels through which the modern buyer can engage with a business. As a result, businesses prioritise the management and optimisation of these channels – and the more ‘repetitive’ tasks such as social media activity (including monitoring, listening and engagement), lead management, collaboration and reporting fall into inactivity. But we’re here to tell you that the more ‘repetitive’ tasks don’t need to be side-lined. You may be in the situation where your marketing team is overburdened, stretched and operating in siloes, but with the right technology and processes, you can free up that resource, empower your marketing team and align activities. 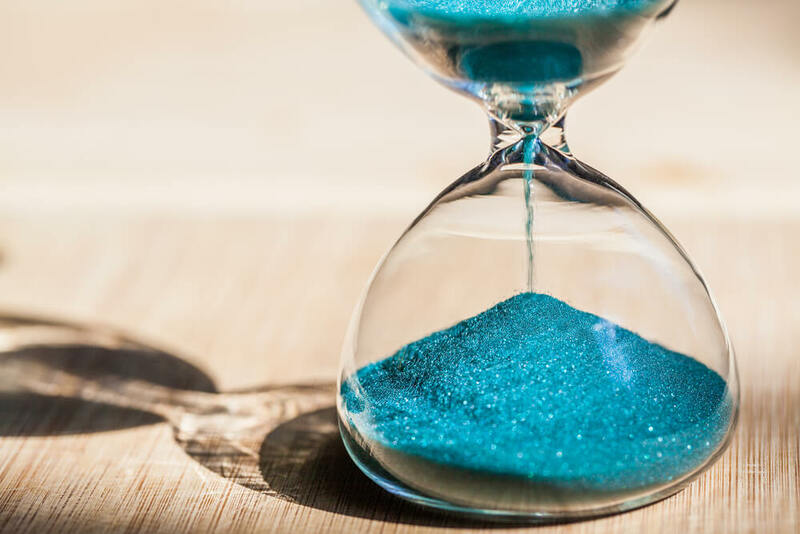 In this blog, we’ll share some top marketing productivity tips for time poor marketers, allowing them to truly streamline their marketing operations – and do more, with less. In the past, measuring the contribution of marketing activity on the business’ bottom line was incredibly difficult due to a lack of measurement and analytics tools. Marketing departments would be routinely asked by their Director, Board or CEO: “What’s the ROI of our marketing activities?” And for some of these departments, the answer might be: “We don’t know.” Marketing departments would then spend hours trying to compile information to produce reports which clearly show its contribution to the business’ revenue generation. The thing is, in today’s digital-first world, with a multiplicity of marketing channels, marketers need to be in a position where they can consistently and accurately report on ROI – and any other metric important to the business. And, with the tools that exist today, it is entirely possible. Most marketing automation tools and analytics platforms offer you the ability to create customised reports based on certain marketing activities, campaigns and/or channels. Of course, at the offset, you will need to set up your analytics to ensure it’s capturing the right data, but once you have, you should be able to pull specific reports as and when you need to. Also, with marketing automation tools and analytics platforms, you can create customised dashboards that clearly show specific metrics and marketing activity, providing you with a complete overview. This way, your marketing team (and the whole business) can quickly see how campaigns are performing against benchmarks – saving you a significant amount of time on reporting. In addition, if anyone else in the business needs to access a particular report, it will already have been set up in an easy-to-use and read fashion. Furthermore, depending on your reporting cycle, be it once a week or month, having your analytics set up in this way will make it easy for anyone to extract the information as and when they need it. Marketing automation, at its core, is more than just the automatic execution of tasks; it enables organisations to scale up their activities, operate more efficiently and productively and utilise powerful tools to develop data-driven insights. With marketing automation, marketers can do significantly more with less. For example, with marketing automation, tasks such as social media monitoring, social media listening, email marketing and lead nurture can not only be automated, but refined and managed on a large scale. In addition, marketers can personalise their efforts across numerous marketing channels, as well as assess the performance of those activities and refine them based on real-time data. Rather than interact with every individual lead and manage them manually, automation tools can take the ‘heavy lifting’ out of lead nurturing and engagement. It’s important to appreciate that not every lead will be ready to engage with your business or even make a purchase. However, through the design of comprehensive, yet incredibly specific workflows, small and medium businesses can engage with larger audiences and keep in touch with those who have shown signs of being interested, but are not quite ready to buy. Automated lead nurturing also generates better quality leads as the qualification process is more in-depth. Also, many marketing automation platforms and tools give you lead scoring functionality, which allows you to identify the highest quality leads and those most ready to engage with the business. This way, marketers and salespeople can make the most of their time and resource, and spend more time interacting with leads who show the signs of being ready to buy, whilst nurturing other leads at the same time. Spend less time scheduling social media, email and content and spend more time engaging with potential prospects. With scheduling tools, marketers can schedule social media activity, emails and blog content, ensuring that they are delivering the right content to the right people at the right time. Email can be automated through sophisticated, personalised workflows which deliver targeted, relevant content to contacts. Social media can be scheduled in bulk – giving you an excellent way of distributing relevant, valuable information (but don’t spam!). And blogs can be scheduled ahead of time, meaning you don’t have to worry about building blogs out on the day. Communication apps like Slack brings all your communication together in one place, providing real-time messaging, archiving, search, file sharing, downloading, call functionality and much more. Slack offers a viable alternative to numerous solutions for each of the individual applications above, meaning teams spend less time hopping between apps and tools and more time working together. Ideally, you should try to find a similar solution, something which houses all the necessary applications your team needs for its internal communication and collaboration. And there you have it. Some top marketing productivity tips for time poor marketers on how they can enhance their processes and get more out of the day – now go out there and be productive!